Anong gagawin mo pag ilegal na ang alak? In the 1920’s when alcoholic drinks were prohibited in the US tinawag pa yan na The Prohibition Era (1920-1933) – malupet! Kasama talaga sa timeline! Now, hindi ka ba naiintriga on the idea of going to a speakeasy? I know I am! Unlike your usual bar – kailangan mo mainvite – no signage here! Just a red light… And password required of course! Ang lakas lang makaElite! Like they say: Who doesn’t want to be in on a secret? We’re all bullies in a way, I guess. Secrets. Seduction. Exclusivity. The speakeasy feel is so illicit it gives us something sinful to please that little rebel in all of us. That same feel is what The Baguio Craft Brewery is currently offering! 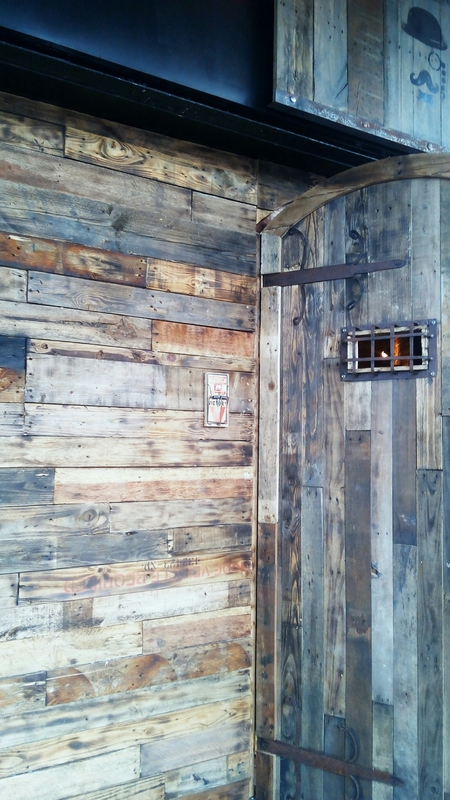 Speakeasy By BCB is a must place to experience in Baguio City! The speakeasy plays music from the 1920s, Charlie Chaplin streaming, volume turned low for more intimate conversations, an exceptional bartender who makes cocktails from Baguio City’s local produce. The industrial finish just completes the ambiance! Previous Previous post: Mommy Needs Quiet Time… Sometimes. Next Next post: Who are you? God?